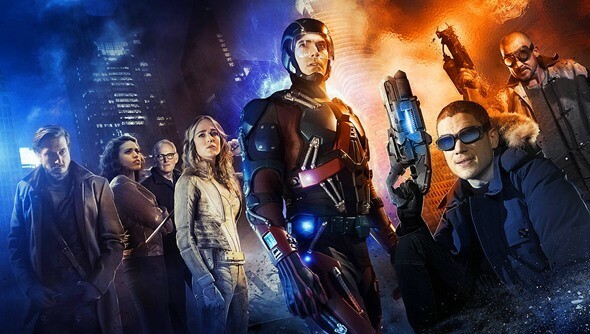 The CW has released two new promos for their upcoming DC Comics series, Legends of Tomorrow. The series stars a large ensemble that includes: Wentworth Miller, Arthur Darvill, Brandon Routh, and Victor Garber. Legends of Tomorrow comes from the same creative team behind Arrow and The Flash. In anticipation of the show’s premiere, The CW is airing a behind-the-scenes special, DC’s Legends of Tomorrow: Their Time Is Now, on January 19th. A half-hour DC Comics movie preview will also air on the same night. DC’s Legends of Tomorrow premieres on January 21st on The CW. What do you think? Will you tune in for the premiere of Legends of Tomorrow? Who is your favorite DC Comics character featured in the upcoming series?